We have built Pirate Island Divers on a strong foundation of high quality, safety and fun. We are thrilled to join the Divers Direct family with whom we share the same vision of providing the best possible experience for our customers. With the best-in-class management of Divers Direct, as a team we will be able to provide the best of both worlds! KEY LARGO, Florida, USA (March 25, 2015) - Divers Direct is proud to announce that they have reached an agreement to acquire Pirate Island Divers, a PADI 5 Star Instructor Development Resort located at the Key Largo Bay, Marriott Beach Resort in the Upper Florida Keys. Subject to due diligence, the deal is expected to close on May 1, 2015. “We are looking forward to offering high-end quality experiences to water sport enthusiasts visiting the Marriott Beach Resort and Key Largo”, says Darcy Kieran, President of Divers Direct. Divers Direct plans on operating the Pirate Island facility under a separate brand name related to watersports activities -- this brand will be known as Emocean Sports. Divers Direct’s large retail outlets will continue to focus on selling top quality gear to scuba divers and watersports enthusiasts. Upon completion of the deal, Napier will be joining the management team of Divers Direct as Director of Water Operations and Experiences. 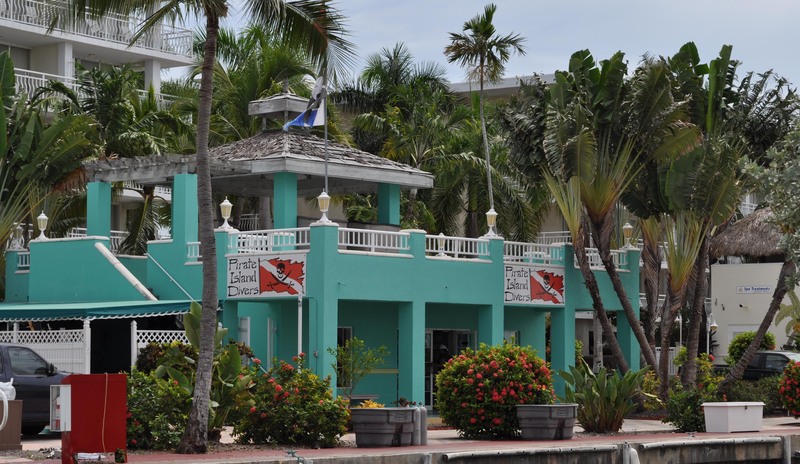 Pirate Island Divers IDC Resort has been in the Key Largo location for 15 years. Along with offering a full range of PADI scuba diving courses and scuba excursions, Pirate Island Divers offers snorkel trips and sunset cruises, plus jet ski, stand up paddleboard, kayak and small boat rentals. Founder, Napier, has been the owner of Pirate Island Divers for 8 years. He is a PADI Master Scuba Diver Trainer and a US Coast Guard Captain of vessels up to 100 tons. He served in the United States Navy as an SWCC working with small vessels transporting SEAL Teams to operating locations. From six local dive shops located throughout South Florida, the gear up experts at Divers Direct have been providing equipment to scuba divers, snorkelers, freedivers, spearos, swimmers, boaters and beach bums for over 30 years.